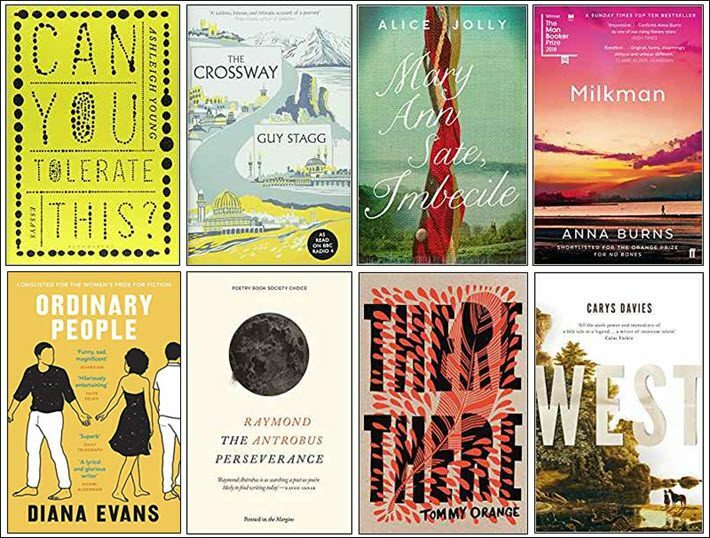 Choosing books ‘we felt took risks,’ the jury of the Rathbones Folio Prize draws its eight-title shortlist from an original pool this year of 80 books. Familiar names are on the 2019 Rathbones Folio Prize from London, as the 2019 book awards season gathers speed. Drawing from the UK, Ireland, New Zealand, and North America, this is the London-based program that offers a £30,000 prize (US$39,189) purse to “the best work of literature of the year, regardless of form,” and based on publication in the previous calendar year. Familiar names on the list include the 2018 Man Booker Prize Winner Anna Burns; California-born fiction writer Tommy Orange; London native Raymond Antrobus who was featured at the London Book Fair in March; and memoirist Guy Stagg. Independent houses account for five of the eight shortlisted works. The initial pool for this year’s choice contained 80 titles. This year’s trio of jurors features Kate Clanchy, Chloe Aridjis, and Owen Sheers. In extended prepared comments, Clanchy speaks for her jury on the announcement of the shortlist, saying, “Judges of literary prizes are supposed to engage in dark arguments, but the words my fellow judges kept saying to each other were ‘joy’ and ‘luck’: a joy to read the fantastically wide ranging list, across geography and literary genres, nominated by the Folio Academy; lucky to be reading at a time when the genres are recreating themselves so rapidly. We chose passionate, singular books, books which we felt took risks and pushed words and often the writer to new limits. “Among novels, we chose Alice Jolly’s strange and visionary verse narrative Mary Anne Sate, Imbecile, written originally with a dipping ink pen; Carys Davies’ audacious novella about a quixotic early American father, West; There, There, by Tommy Orange, a tender but confronting ‘polyphonic’ novel about the Native American experience. “Diana Evans’s Ordinary People, which delicately realizes and recognizes difference and pain in contemporary Black Londoners, sits next to Anna Burns’ funny, absorbing, terrifying The Milkman. “In nonfiction, we matched Guy Stagg’s exquisitely written memoir of his modern pilgrimage across Europe, The Crossway with New Zealander Ashleigh Young’s fresh, challenging book of essays, Can You Tolerate This? “The Perseverance by Jamaican British poet Raymond Antrobus gave us an D/deaf experience in verse of power, craft and piercing emotional clarity. The Folio Prize was established in 2013 as the first major English-language book prize open to writers from around the world. The Booker Prize, in its “evolved” state, would open to work from beyond the Commonwealth the next year. The Folio Prize’s titles are selected and judged by an academy of peers. When the name sponsor, Rathbones Investment Management, came on board in 2016, the prize was expanded to include all works of literature, regardless of form, and so it is that both fiction and nonfiction may appear on the lists. The winner of the 2019 prize is to be announced on May 20. On the eve of the prize ceremony, the shortlisted authors with the judges and chaired by AL Kennedy will take part in a Rathbones Folio Sessions day at the British Library. There’s also to be a session with this year’s Rathbones Folio mentees, part of the Rathbones Folio Mentorships for aspiring young writers and Rathbones Folio Prize Sessions at literary festivals in many parts of the UK. More from Publishing Perspectives on book and publishing awards is here.